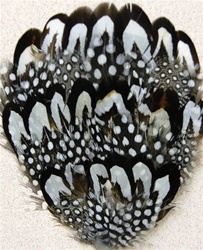 Combination Reeves Pheasant and Guinea Hen. 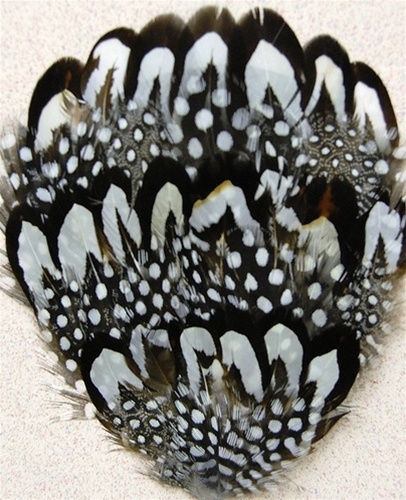 A beautiful combination of the Reeves Pheasant feather and Guinea Hen feather.This combination is very popular in Millinery, Headbands, Crafts and other acsesorie items. Sold by theDOZEN only.